Some of the current Petersham herd have enjoyed summer grazing on the meadows for a decade. Several breeds are represented among the nine cows grazing this year. Eight of the nine calves were sired by an Aberdeen Angus bull. Murray Gray (above) is of Australian origin from a cross between Aberdeen Angus and Shorthorn cattle. As a breed their ability to adapt rapidly and thrive in most climates coupled with their superior feed conversion as made them the second largest beef breed in Australia. They are also known for their mild manner and very good maternal abilities. Charolais (above left) or white cattle from the old French provinces of Charolles and Nievre were first recorded more than a thousand years ago. These are sometimes known as Nivemais cattle. The breed first arrived in the UK in the late 1950s and was quickly accepted. They have exceptional growth rates and provide good hybrid vigour when crossed with English breeds. They have an outstanding temperament which makes them very good to handle. Sussex (above centre) is an ancient breed once found throughout southern England in the forests of the Weald in Kent and Sussex. The Normans described them after the invasion of 1066 and it is thought that the Sussex descended from horned ‘red cows’. Once bred as draught oxen when bullocks were used to work the land. 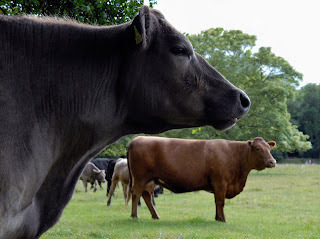 When replaced by horses Sussex cattle continued to be bred for beef. Their legacy as draft animals has produced a breed that is reasonably easy to handle. The Aberdeen Angus (above left) name is known throughout the world although they were only developed in the early 19th Century from the polled and predominantly black cattle of north-east Scotland. The favourite Aberdeen Angus bull of Hugh Watson, a tenant of Keillor in Angus, was Old Jock who is recorded in the Scotch Herd Book as number one. 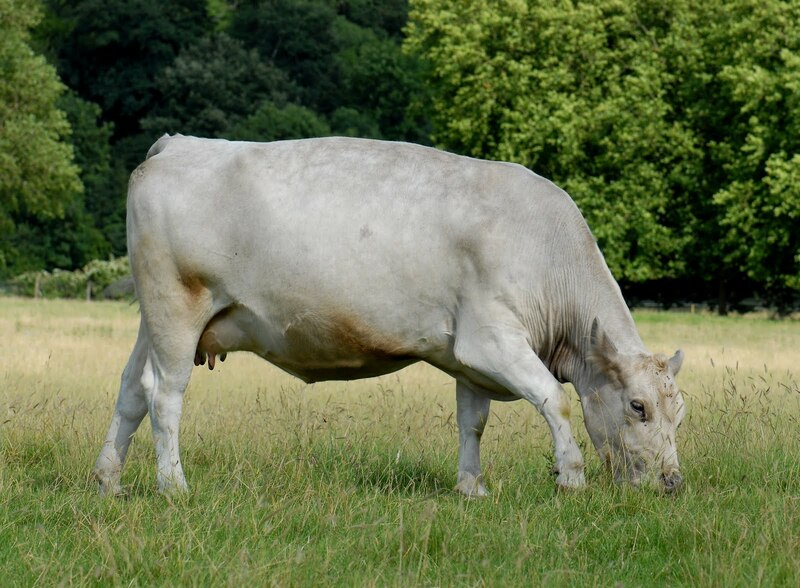 This naturally polled breed is renowned for its quiet temperament. 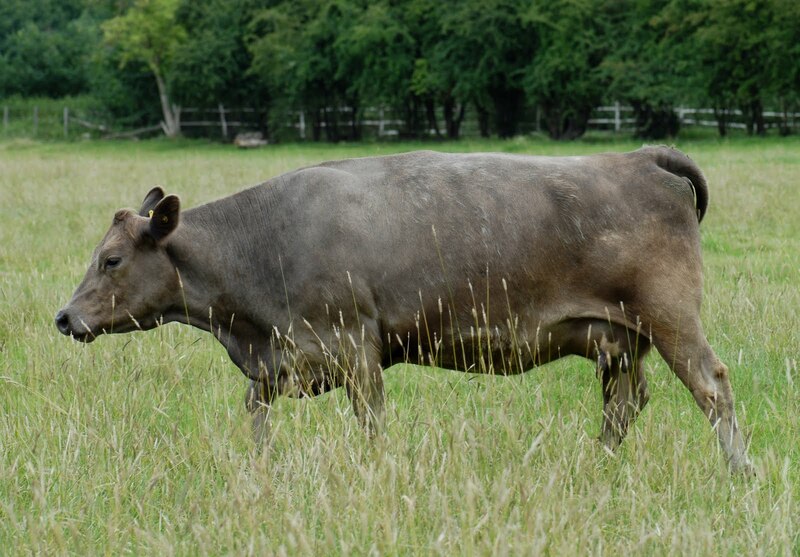 The Angus breed has very strong maternal traits and produce abundant milk. Simmental (above) cattle were first bred in the Simme Valley, Switzerland in the Middle Ages. Simmental are the result of a cross between a small Swiss breed and larger German cattle. 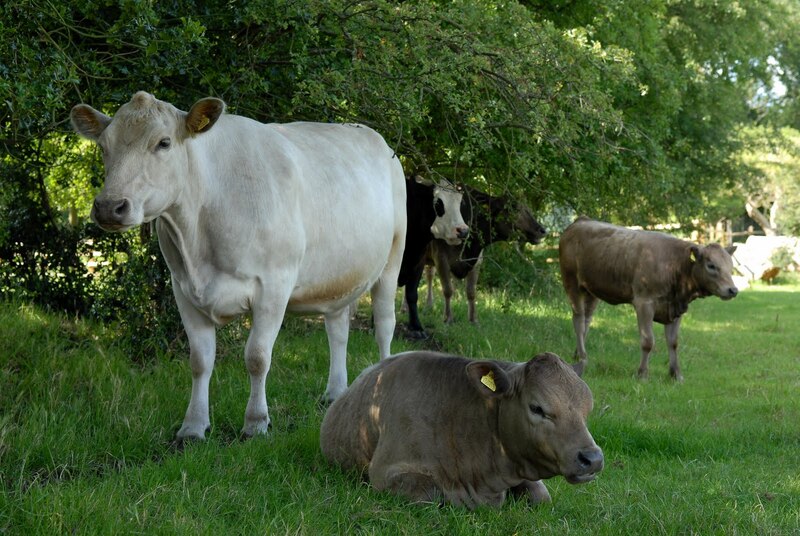 Generations of selection, more recently for milk or beef, has produced a breed that is docile with good mothering traits and is now very popular throughout the world.